4 Bdrm Detached Dwellhouse. Ground flr: Hall. Cloakrm with wc. Drawing rm. Dining rm. Kitch/Family rm on open plan. Bdrm with ensuite & His & Hers dressing rm. Laundry rm. 1st flr: 3 Bdrms. 1 with ensuite & Dressing rm. Bathrm (CT band - TBC). Garden. Garage. Parking. Fixed price £600,000 Entry by arr. Viewing Churchill Homes 01224 256180 or Sales@churchill-homes.co.uk or contact solicitors or go along to site. 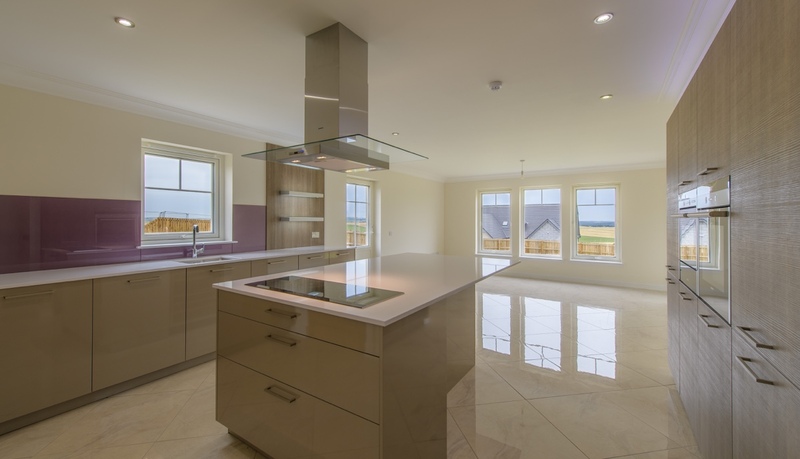 This is the last remaining house to be built on this exclusive development, with an internal floor area of 250m2 (2690ft²) excluding the double integrated garage. 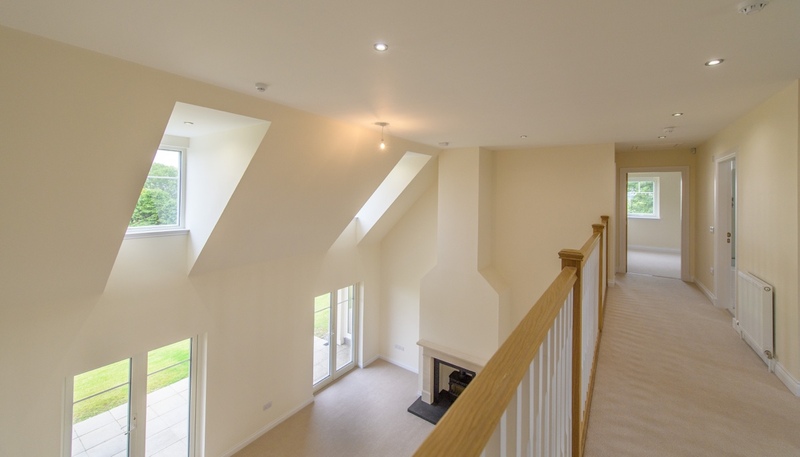 All of our developments have their own house designs, which are unique and specific to each location. 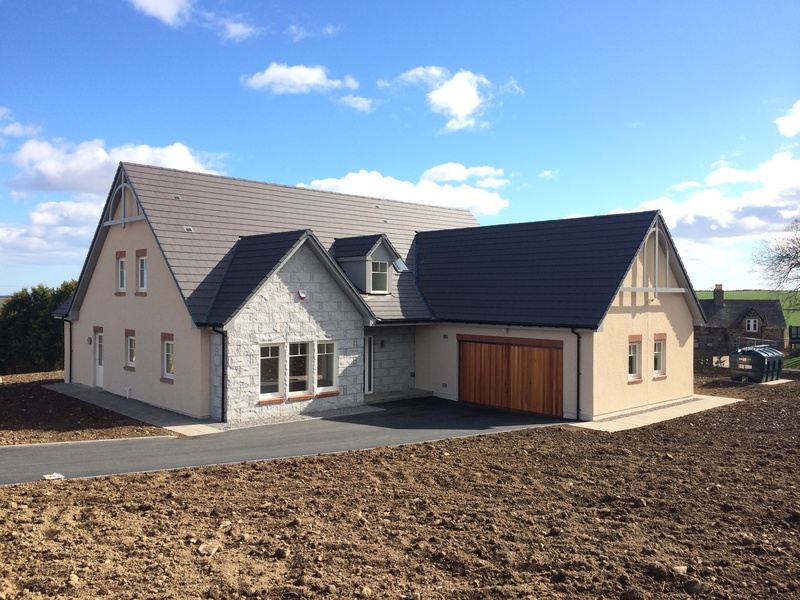 This development is located in North Ythsie, by Tarves, Aberdeenshire, making it close enough to the city yet far enough into the countryside, to enjoy all the benefits of both. 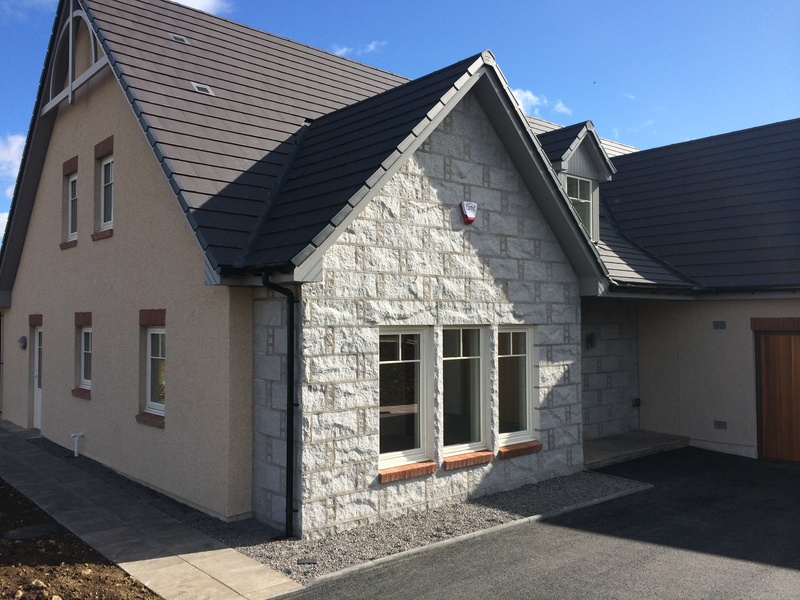 Situated between the villages of Pitmedden and Tarves, the site is approximately 4 miles from the picturesque town of Ellon, which is a vibrant town offering all amenities including schools, shops, supermarkets and restaurants etc. To the south, the City centre of Aberdeen is approximately 20 minutes’ drive, and served by good public transport links. The Bridge of Don and Dyce business districts are in perfect commuting distance, being only 15 miles to the South & South West of the property. The development at North Ythsie consists of 9 generous family homes and sits on a gentle southerly slope with the most stunning views over the countryside. 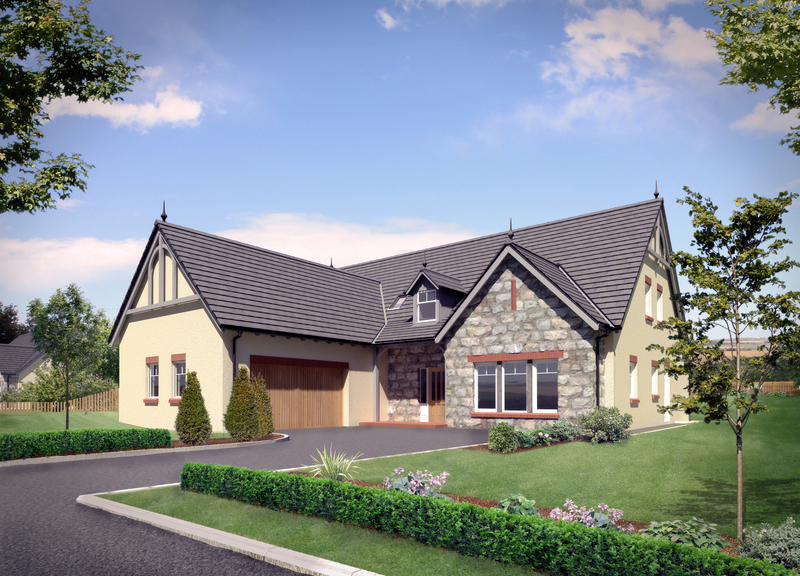 Plot 8 is a large plot in excess of ½ of an acre, or 2091m2. This stunning home offers generously proportioned accommodation which is unrivalled and represents excellent value for money. The property incorporates many luxurious features all as standard, such as full height vaulted ceilings in the dining hall and entrance hallway, high quality German made designer kitchens with integrated Siemens appliances and wine cooler, designer bath and shower rooms all fitted with high specification Duravit ware. Exquisite oak interior doors are fitted throughout with living areas being beautifully framed with decorative cornicing, moulded skirtings and architraves. The windows and external doors are all rated for Scandinavian high performance and the property boasts excellent air tightness levels. 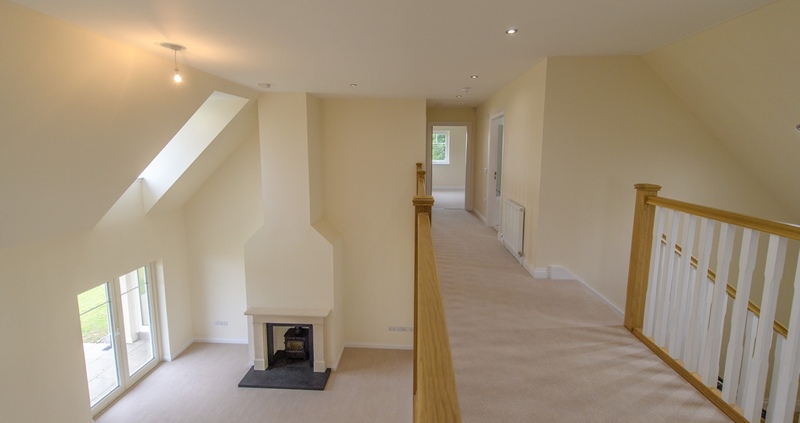 The house also has underfloor heating fitted throughout the ground floor, with radiators to the upper floor, and features a Chesney fire surround and a wood burning stove in the lounge. Plot 8, which is to be built to order, is now for sale. A video tour of the site and one of the completed properties can be viewed by clicking the tour tab above. 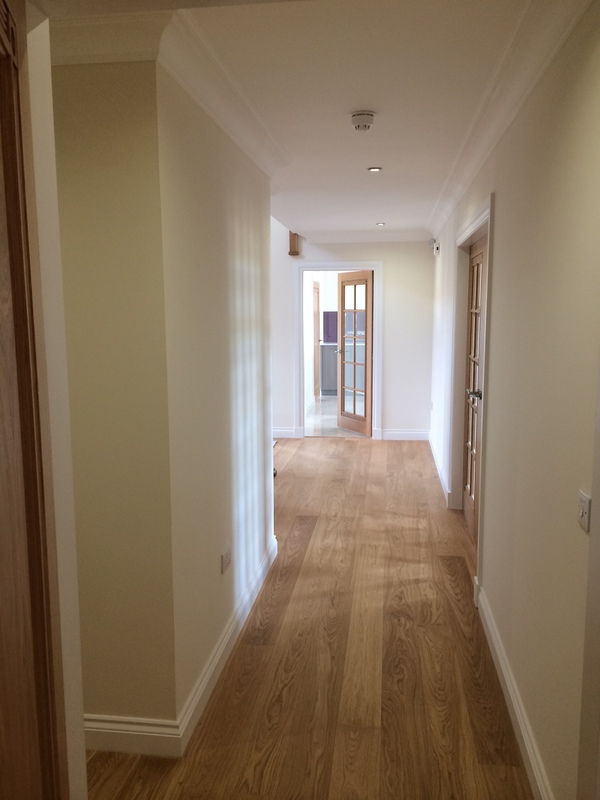 Entrance Hallway: 4.3m x 3.9m or 14’1” x 12’10” (approx) entered through a highly insulated Walnut timber effect GRP glazed panel door with secure multipoint locking system. This is a stunning, bright and open hall providing double height space up to the overlooking gallery. 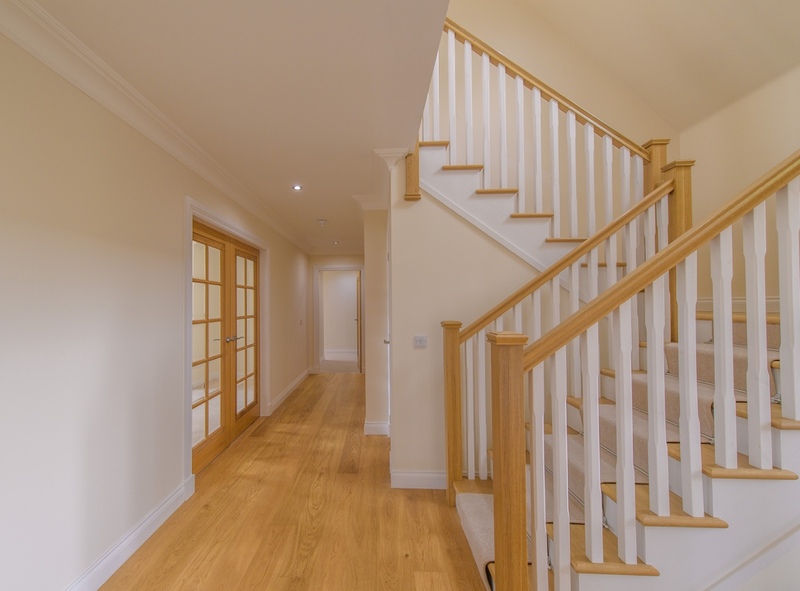 A stunning staircase, with oak treads, newel posts & handrails and a carpeted runner with chrome stair rods, provides access to the first floor accommodation. The hallway is floored with a real oak laminated floor. Downlights and contemporary wall lighting is provided. Cornicing is provided around edge of ceiling where applicable. 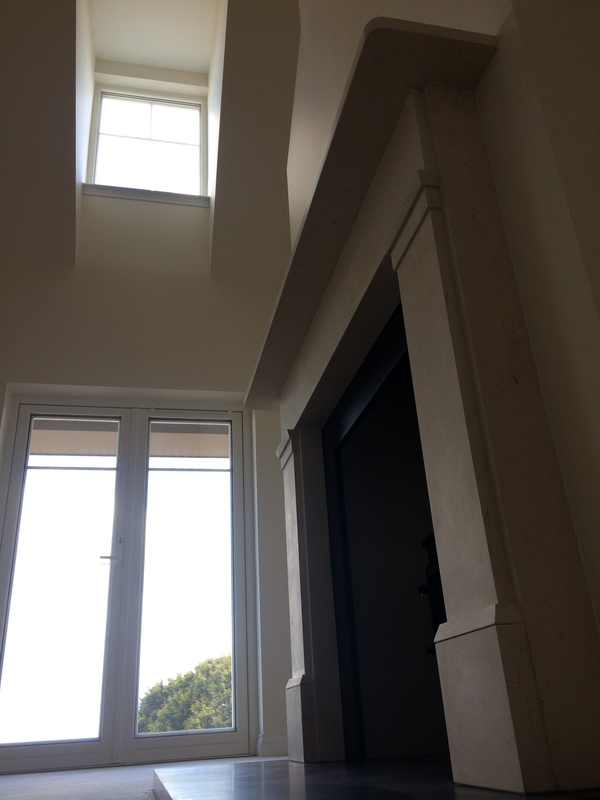 There is a feature dormer window above landing which provides light to the double height area & full glazed door & screen to the front entrance. Smoke detector. There is a generous store underneath the staircase. Underfloor heating. 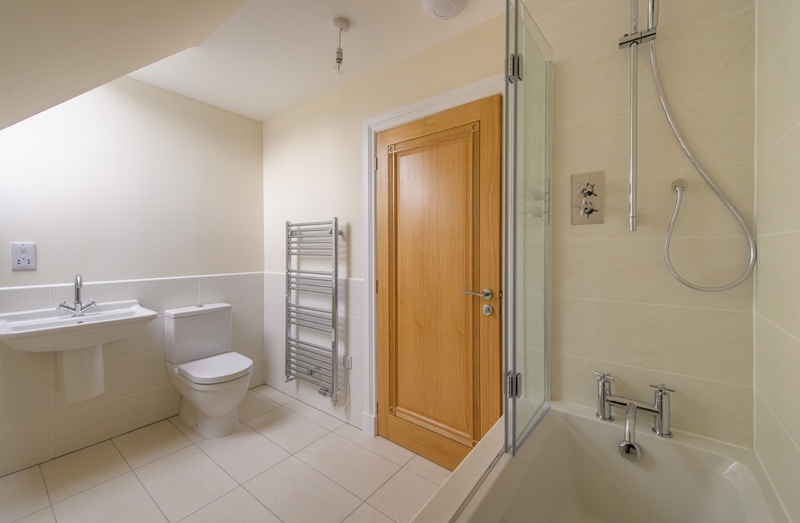 WC: 1.6m x 2.4m or 5’3” x 7’10” (approx) entered from the Hallway, it features Duravit sanitary ware in white, with chrome mixer tap and pop up waste to wash hand basin, and a W.C. Superior quality ceramic floor & wall tiles. Extractor fan. Underfloor heating. Drawing Room: 6.5m x 4.3m or 21’4” x 14’1” (approx) this large formal space is entered from the hallway through a set of glazed oak double doors and features a stunning double height void up into the Upper Gallery. There are 2 large French windows to the rear of the property which open out onto a covered patio or deck area, and two feature dormer windows above providing ample daylight. There is a proper working chimney with a choice of stunning Chesney’s stone mantles and surrounds, Caithness stone hearth and a Wood Burning stove. In addition to the downlights, there is a dedicated 5 amp table lighting circuit switched from one point. TV/SAT & telephone outlets. Flooring is supreme quality 80/20 wool mix carpet. Underfloor heating. Dining Room: 4.6m x 3.4m or 15’1” x 11’2” (approx) this dedicated dining space is entered from either the entrance hallway or directly from the kitchen area. It features 3 picture windows to the front of the property and one to the side. There is decorative cornicing to ceiling. Lighting is by downlights and there are ample power sockets. Flooring is supreme quality 80/20 wool mix carpet. Underfloor heating. 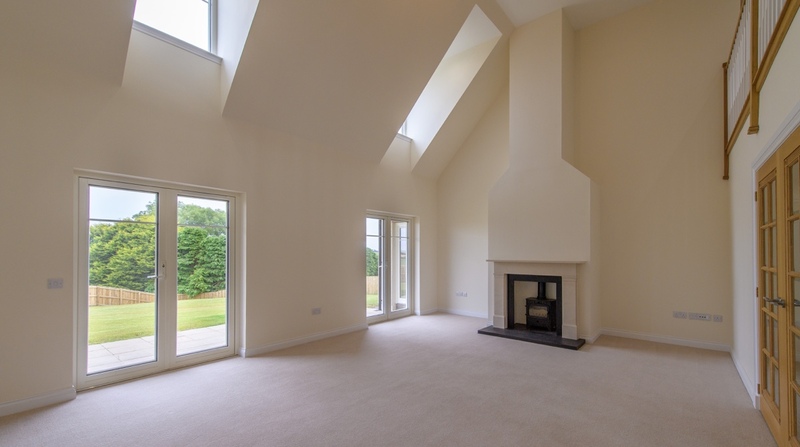 Kitchen: 4.6m x 4.1m or 15’1” x 13’6” (approx) this is a large room entered from the hall or dining room, and is open plan to the family room. 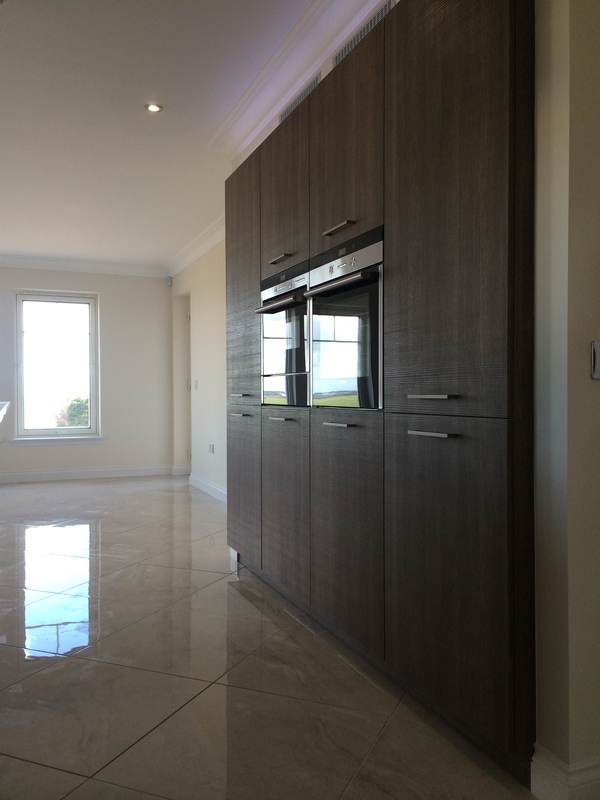 It is fitted with a superior quality German Leicht kitchen, featuring a range of under counter and tall housing units. 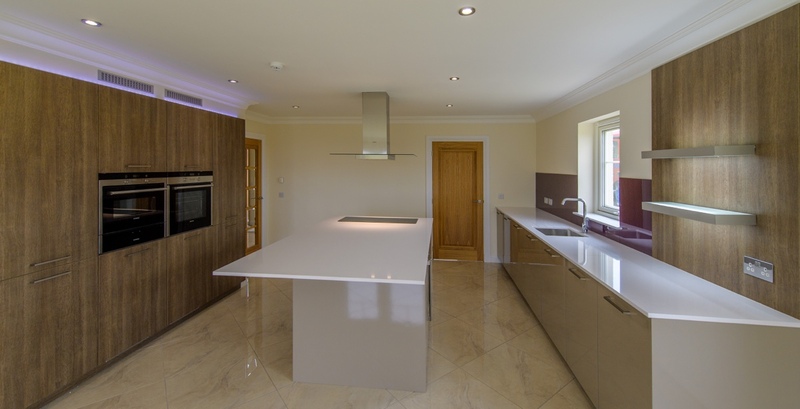 There is an island including induction hob, stainless steel & glass extractor hood, wine cooler and illuminated glass boxed shelves. System stone worktop. Informal dining seating area is provided around the island. The feature tall housing units have led task lighting above, and include a multi-function single oven, combination microwave oven, multi-function warming drawer, integrated dishwasher and integral fridge & freezer. All appliances are high spec. Siemens products. Beneath the window to the garden, there is a line of base units including under mounted stainless steel sink with Hansgrohe Chrome tap and Eurocargo waste & recycling center. 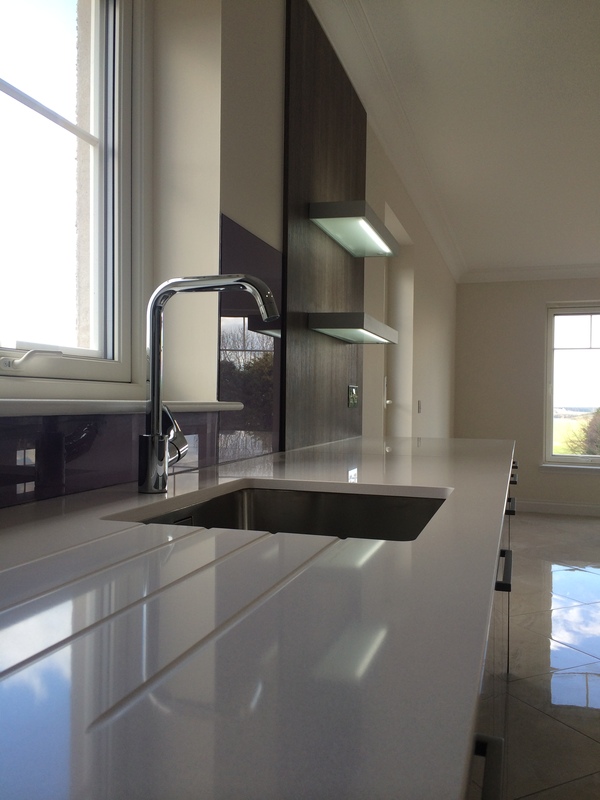 System stone worktop with modern glass back panel. 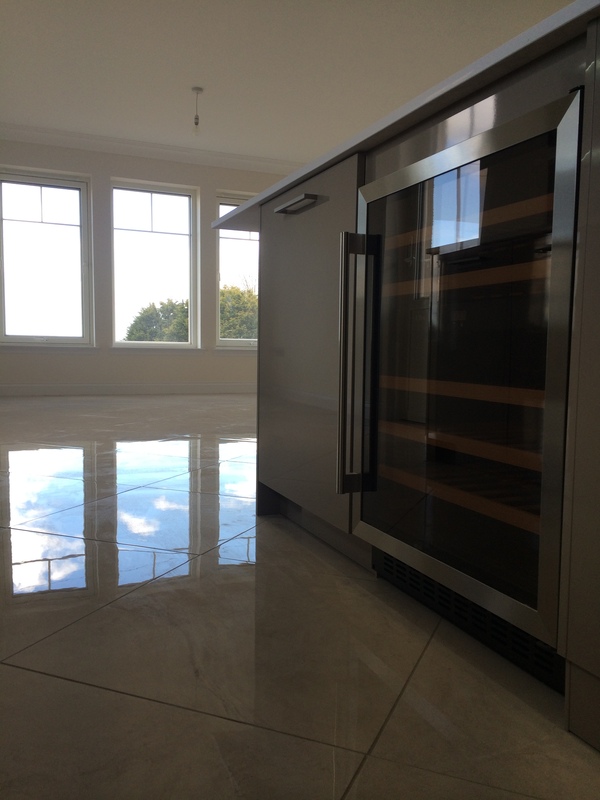 The flooring is a stunning high quality polished ceramic tile to compliment the kitchen units. There is decorative cornicing around the ceiling. External glazed door leading to the garden. Underfloor heating. 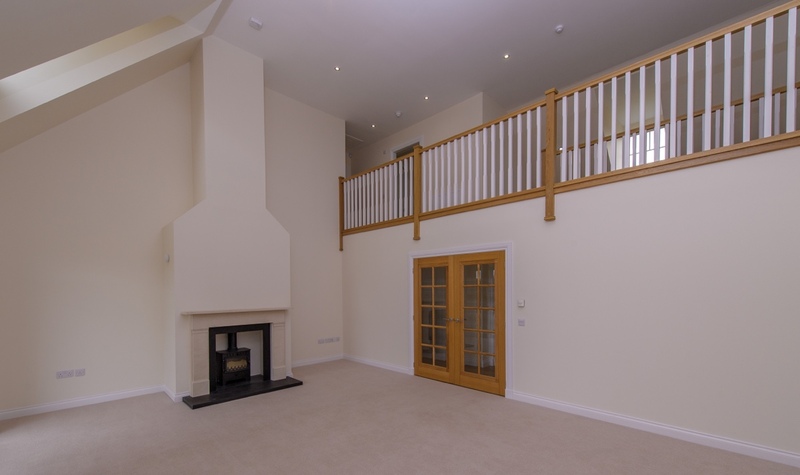 Family Room: 4.6m x 4.2m or 15’1” x 13’10” (approx) this generous family room is open plan with the kitchen and provides scope for informal dining and casual family living. The space is bright with 3 picture windows to the rear & external glazed door providing access to a covered slabbed or deck area to the rear of the property. TV/SAT & telephone outlets. There is decorative cornicing to the ceiling. 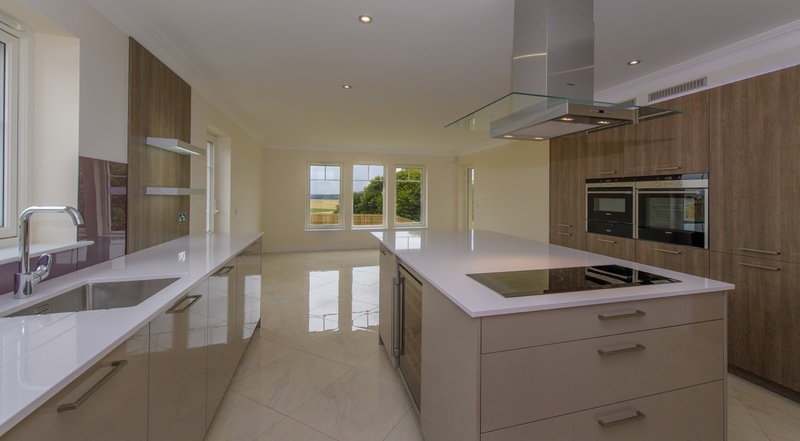 Flooring matches the kitchen with stunning high quality polished ceramic tiles. Underfloor heating. Master Bedroom Suite: 5.0m x 4.2m or 16’5” x 13’10” (approx) this large and spacious bedroom is accessed off of the main hall and has 3 large picture windows to the rear, one to the side overlooking the garden and an external glazed door providing access to the covered slabbed or deck area. TV/SAT & telephone outlets. Flooring is supreme quality 80/20 wool mix carpet. Underfloor heating. His & Hers Dressing Rooms: 1.8 x 3.4 or 5’11” x 11’2” & 1.8m x 2.1m or 5’11” x 6’11” (approx) each of these large rooms are fitted out with hanging rails, shelves, power outlet and light. Flooring is supreme quality 80/20 wool mix carpet. Underfloor heating. Master Bedroom En-Suite: 4.6m x 2.9m or 15’1” x 9’6” (approx) quality sanitary ware in white by Duravit with chrome mixer taps, pop up wastes and shower valve. Chrome heated towel rail and high quality ceramic tiling (client choice) to both floor and walls full height, incorporating large mirrors behind basins. His & Her wash basins on Duravit console and cabinet, large shower with front glass screen, separate designer bath, W.C and bidet. There is also a shaver socket and extractor fan. Window to side of property provides good natural lighting to the room. Underfloor heating. Laundry: 2.8m x 1.9m or 9’2” x 6’3” (approx) entered from the hallway providing access to the integral Double Garage. There is a range of superior quality Leicht kitchen units with complimentary worktop (client choice) & stainless steel sink & drainer c/w chrome mixer tap. Included is top of the range Siemens front loading 8kg Washing Machine and Siemens 8kg Condensing Tumble Dryer, both multi-function. There is a Store partially shelved, housing large Hot Water Cylinder and main electrical fuse box. High quality ceramic floor tiles to floor. Underfloor Heating. 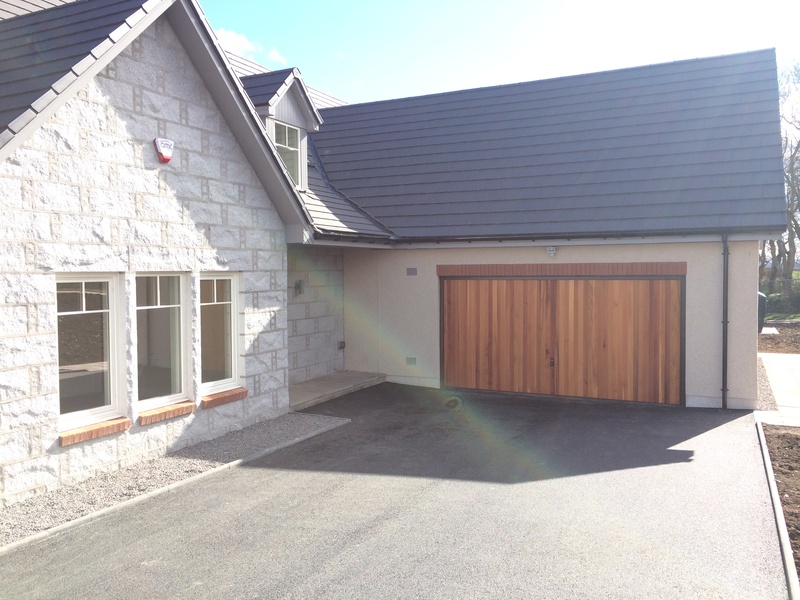 Integral Double Garage: 6.0m x 5.8m or 19’8” x 19’ 0” (approx) this is a large double integrated garage with electrically operated up and over cedar lined door. There is direct access from the Laundry. Walls and ceiling are lined with plasterboard and painted. 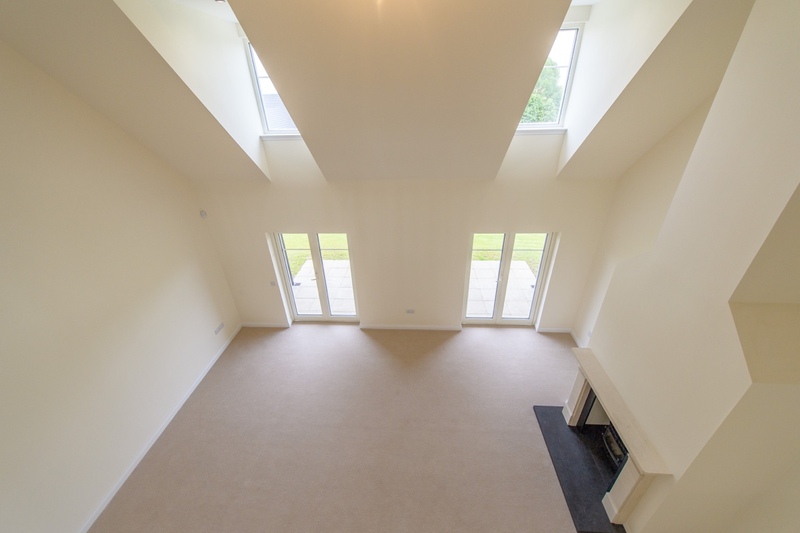 There are two large windows to front of property and semi glazed door to side providing ample natural light. The garage has good provision of power points, water & light. Remote alarm key pad. Polished concrete floor. Garage Store: 2.1m x 1.3m or 6’11” x 4’3” (approx) This is a generous sized store where the floor mounted boiler is also positioned. Upper Gallery: 7.8m x 1.5m or 25’7” x 4’11” (approx) situated at the top of the staircase, this is a lovely bright & airy space overlooking the drawing room and entrance hallway via the gallery. There is a radiator, smoke detector & numerous downlights and power socket, with natural daylight coming from the feature dormers above the hallway and drawing room. The flooring is supreme quality 80/20 wool mix carpet. Access panel to loft space. Bedroom 2: 4.1m x 4.7m or 13’6” x 4’11” (approx) entered off of the gallery, this spacious and bright double bedroom benefits from stunning views from the window to the side of the property. 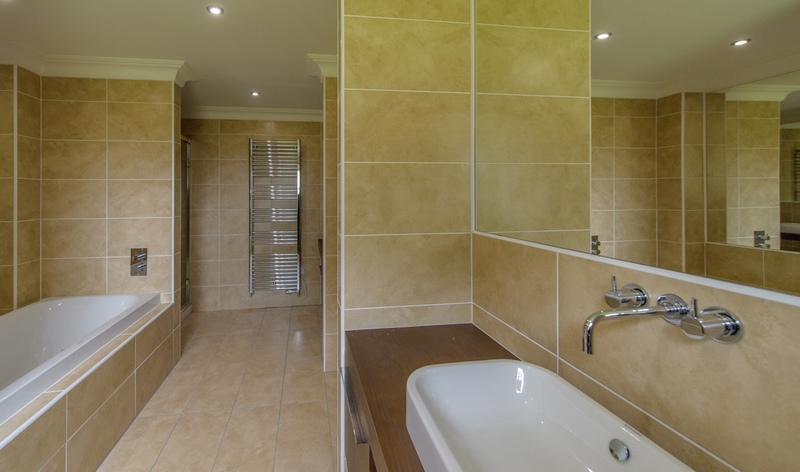 It boasts its own walk in dressing room and en-suite shower room. TV/SAT & telephone outlets. Radiator. Flooring is supreme quality 80/20 wool mix carpet. Dressing: 2.5m x 1.4m or 8’3” x 4’7” (approx) fitted out with hanging rails, shelves, power outlet and light. Radiator. Flooring is supreme quality 80/20 wool mix carpet. Bedroom 2 En-Suite: 2.0m x 2.6m or 6’7” x 8’6” (approx) quality sanitary ware in white by Duravit with chrome mixer taps, pop up wastes and shower valve. Chrome heated towel rail and high quality ceramic tiling (client choice) to both floor and walls. High quality shower with glass screen, W.C and wash basin. There is also a shaver socket and extractor fan. Window to the side of property. Bedroom 3: 4.2m x 3.5 m or 13’10” x 11’6” (approx) entered off of the upper hallway, this spacious and bright double bedroom benefits from stunning views from the window to the side of the property. There is a large wardrobe with double oak doors. TV/SAT & telephone outlets. Radiator. Flooring is supreme quality 80/20 wool mix carpet. Bedroom 4: 3.6m x 3.0m or 11’10” x 9’10 (approx) entered off of the upper hallway, this spacious and bright double bedroom overlooks the garden from the two large windows to front & side of the property. There is a wardrobe with single oak door. TV/SAT & telephone outlets. Radiator. 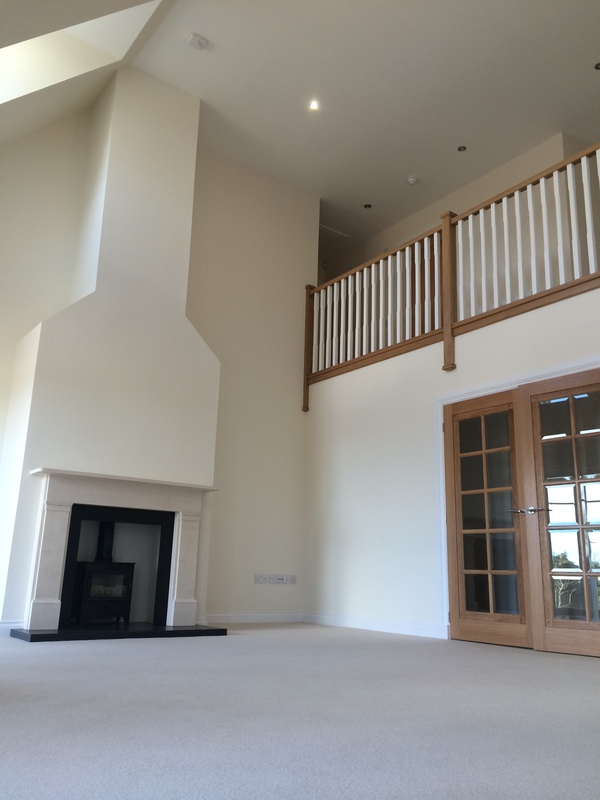 Flooring is supreme quality 80/20 wool mix carpet. Access panel to further loft space. 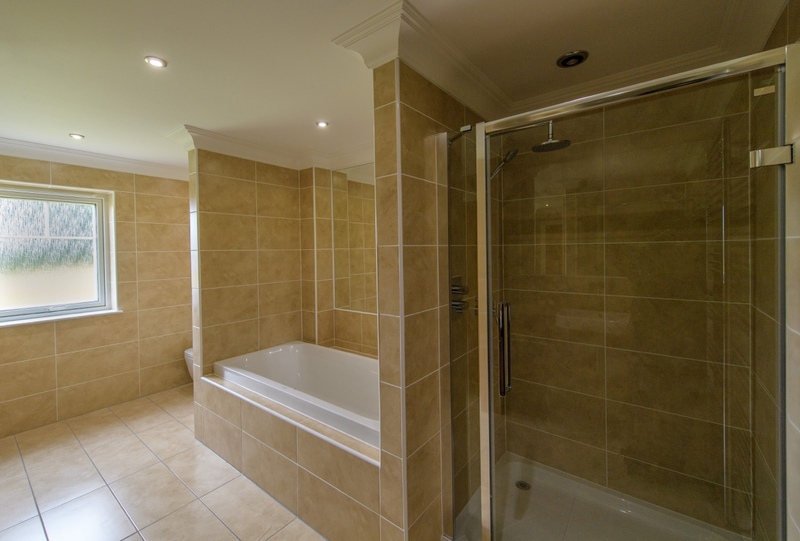 Bathroom: 3.1m x 2.0m or 11’10” x 9’10 (approx) Accessed off the gallery this serves as a general bathroom to the first floor. Quality sanitary ware in white by Duravit with chrome mixer taps, pop up wastes and shower valve. Chrome heated towel rail and high quality ceramic tiling (client choice) to both floor and walls. High quality shower with glass screen over bath, W.C and wash basin. There is also a shaver socket and extractor fan. Velux window. Ceilings painted white. 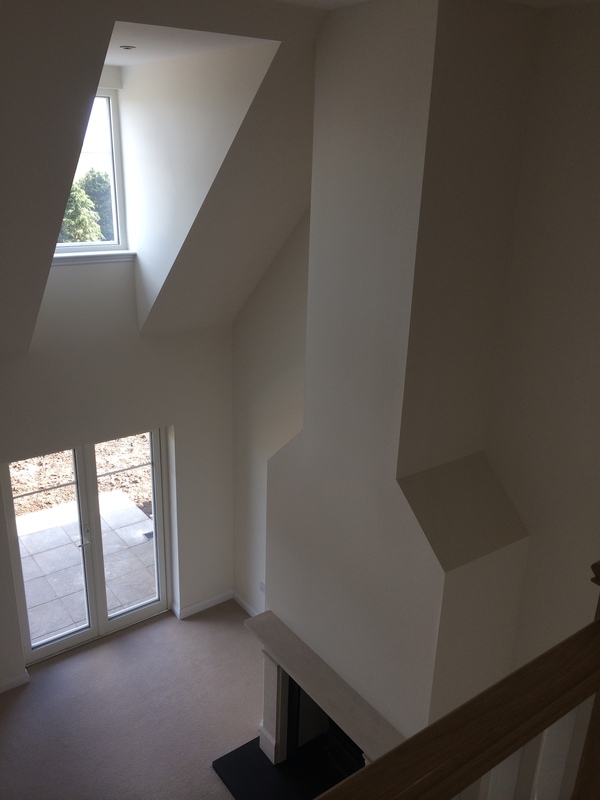 Internal walls finished in Almond White. CHESNEY’s Fire Surround c/w Hearth. High quality ceramic wall and floor tiles.